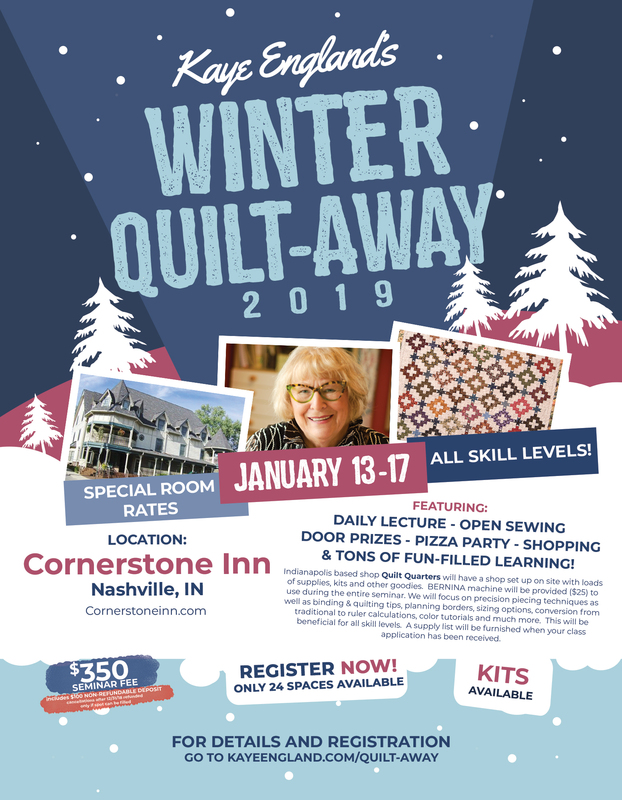 I have had many requests to plan a consumer Quilting Event locally so with great pleasure we present Kaye's Winter Quilt-Away!!!!! Come join us for a fabulous quilting adventure in beautiful Brown County, Indiana. 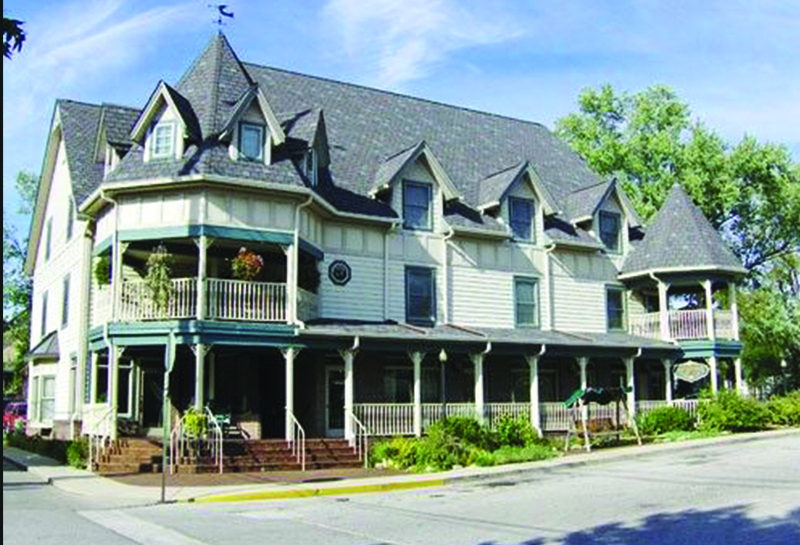 Our Host Inn will be the down-home charming Cornerstone Inn in the center of Nashville, Indiana. Even in the winter months, there will be so many shops to visit including, eateries, local wineries, playhouses, historical sites, and so much more. 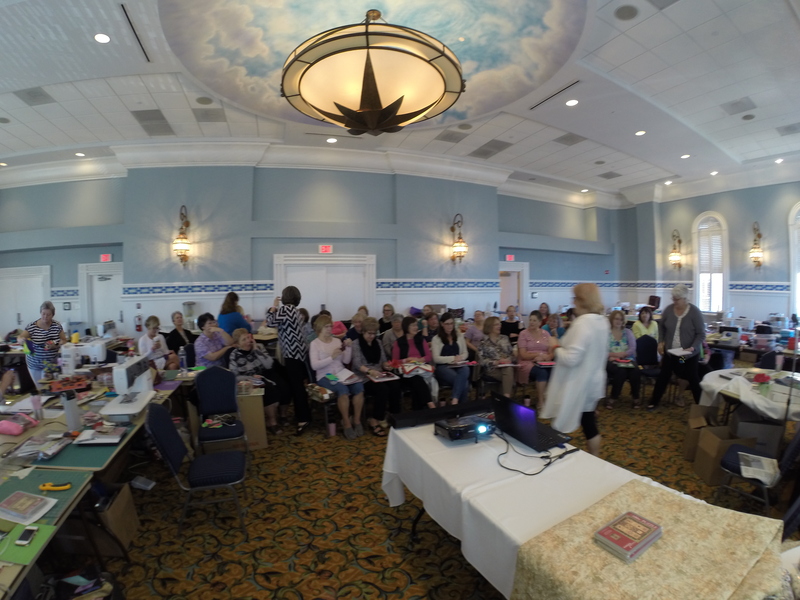 Daily lectures will include lessons in block construction, use of speciality rulers, color, machine tips, needle and thread info, and so much more. All with the goal of empowering you with the skill to be your own designer. Set up will be January 13 at 3pm with evening snacks and a provided kit to get you started on your journey. Our sewing will end Thursday, January 17th at 7pm with an evening pizza party, show and tell, closing remarks, door prizes and loads of fun. Check out on Friday, January 18th by 12 noon. Each morning on January 14, 15, 16 17, and 18th, you will be provided a fulfilling and nourishing breakfast. Lecture will be at 9am each morning 14-17 with the following time throughout the day and evening as open sewing based on the days presentation. Sewing Room will be open from 8am to 11pm daily 14-16 and 8-7 on the 17th which will allow you ample evening sewing time to polish those skills learned in class. Class size is limited to 24 so sign up early. Quilt Quarters in Indianapolis will have a shop set up on site with loads of supplies, kits and other goodies. They will also provide for $25, a BERNINA machine to use during the entire seminar. We will focus on precision piecing techniques to include a wide variety of quilting information to include binding tips, quilting tips, planning borders, sizing options, conversion from traditional to ruler calculations, color tutorials and much more. This will be beneficial for all skill levels. A supply list will be furnished when your class application below, along with your $350 check to Kaye England, has been received. NOTE: Your seminar fee includes a $100 non-refundable deposit. Refunds of $250 cancellations BEFORE 12/31/18. After that date, refund is based on ability to fill your spot.